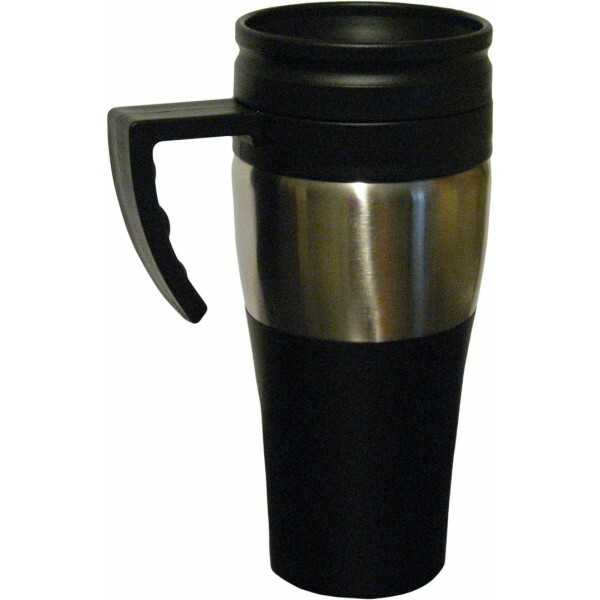 This mug is great whether you'are going to work or taking a weekend jaunt. 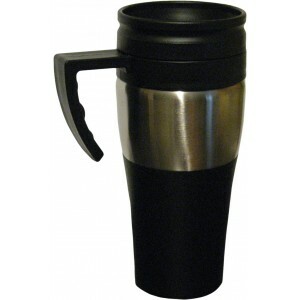 Keep 16 oz of coffee or tea hot and summer cooler with these thermal tumblers. Made of sleek ABS and 18/10 stainless steel. Topered bottom fits in most car cup holders.